Vanderbilt University and Medical Center (VUMC) faculty, staff, students and volunteers will once again have the opportunity to be part of a mass flu vaccination event that four years ago more than doubled the current world record for the total number of vaccinations given in an eight-hour period. 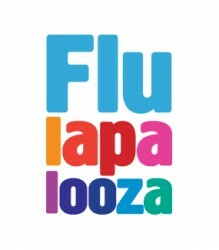 Flulapalooza 5 will be held Wednesday, Oct. 7, from 6 a.m. to 6 p.m. in a large tent erected between Light Hall and Veteran’s Administration Hospital. The free shots are available for all University and Medical Center faculty, staff, students and volunteers. Family members will not be included in this event. Last year more than 13,000 received the free shots during the 12-hour event. The event’s dual purpose is to test VUMC’s emergency mass vaccination plan as if there really were a public health emergency requiring mass vaccination, and to help assure that Vanderbilt protects its faculty, staff, volunteers, students, and thereby its patients, from the flu. Last year the average time to give and document a shot was 56 seconds. The Centers for Disease Control and Prevention recommends that everyone at least 6 months old should be vaccinated to protect themselves and their close contacts from the flu. Flu vaccine is currently available for Vanderbilt patients. The Occupational Health Clinic also offers flu shots at its sixth floor location in Vanderbilt’s Medical Arts Building and through a wide variety of mobile events, detailed on the OHC website. For maximum efficiency during the Flulapalooza event, please wear short sleeves and present your Vanderbilt ID badge. Supervisors should stagger staff participation in patient care areas so that not too many staff members are away at once. VUMC policy now requires annual influenza vaccination or exemption. Exemptions may be for religious or personal/philosophical beliefs or for medical contraindications. Those who wish to be exempted from receiving the flu vaccine must submit an exemption request by Oct. 1. A link to the exemption request is on the OHC website. Swift said that faculty and staff who receive flu vaccine outside the OHC program can now electronically self-report their vaccination on the OHC website. If you are vaccinated in your provider’s office, the VA or a pharmacy, report your vaccine so that you are counted in your department’s vaccination rate. If your provider is outside Vanderbilt, you must provide documentation, which can be uploaded electronically in the self-report tool. For information on how to protect yourself and your patients from influenza, check the Department of Infection Control & Prevention’s website.